Dog bathing is one of the most important parts of grooming. You will want to start your puppy bathing at an early age. Usually around 3 months old. He will soon learn that baths are a part of his routine and won’t fight them so much. Treat your dog as if he is a 2-year old child. Talk to him, sing to him, tell him jokes. If he see’s you are calm, he will calm down too. Strap him in for safety and keep the soap out of his eyes. And like a child, he will most likely take a bath kicking and screaming for the first several times until he sees that it’s not going to hurt him and he feels pretty good afterwards. Some dogs don’t mind the bath so bad cause they know they’re going to get rubbed with the towel afterwards. There are as many answers as there are dogs. But a good rule of thumb would be every two weeks. However, if you dog loves swimming in the lake, rolling in cow patties, or digging in the dirt, he might need more frequent bathing. And on the flip side of the coin, if your dog is the resident couch potato, lap dog, or “ewwww there’s a piece of grass on my foot” drama queen, the dog bath can probably wait a bit longer, possibly a good month or two. Choosing the right shampoo is important. A good oatmeal shampoo will soothe itchy skin and a good medicated shampoo will soothe irritated skin. There is a shampoo for just about every skin type. Identify what your dog needs and choosing the right shampoo is easy. Do not use people shampoo on your dog. You want to use products that are pH balanced for your dog’s chemistry. There will be some circumstances that require you to use other products when bathing such as Dawn dish detergent. In this case you’ll want to follow up with a dog shampoo to replace the pH balance to your dog’s hair and skin. There are different types of coats on dogs. The type of coat that your dog has will determine how easy or hard bathing and drying will be. 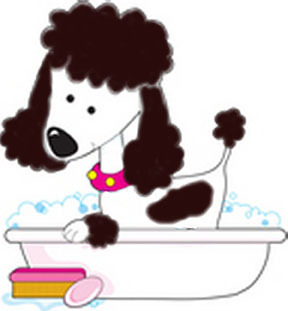 For more in depth instructions on dog bathing and more, follow the links below. 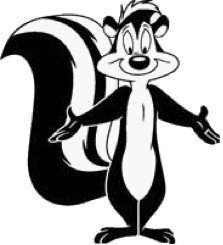 Has your dog gotten sprayed by a skunk?